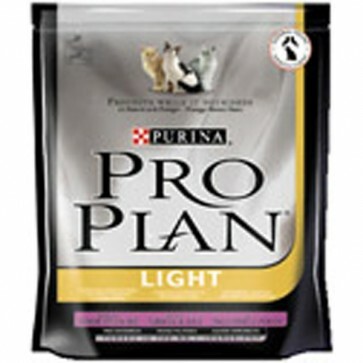 Purina Pro Plan Light Cat Food is a highly palatable, complete and balanced food, formulated with a reduced level of fat, just 9% instead of 16% in the adult variety, with increased levels of insoluble fibre and protein levels to help maintain a lean body condition during weight loss. Pro Plan Light Cat Food also contains high levels of anti-oxidants to help support the immune system that can sometimes be comprised by overweight cats, wholesome turkey and rice, natural prebiotics, essential marine oils and minerals for a thick glossy coat. Pro Plan Light Turkey & Rice Cat Food is highly digestible, contains optirenal to support your cat's kidneys, helps reduce litter box odour and has been proven to reduce tartar build up, by up to 40%. 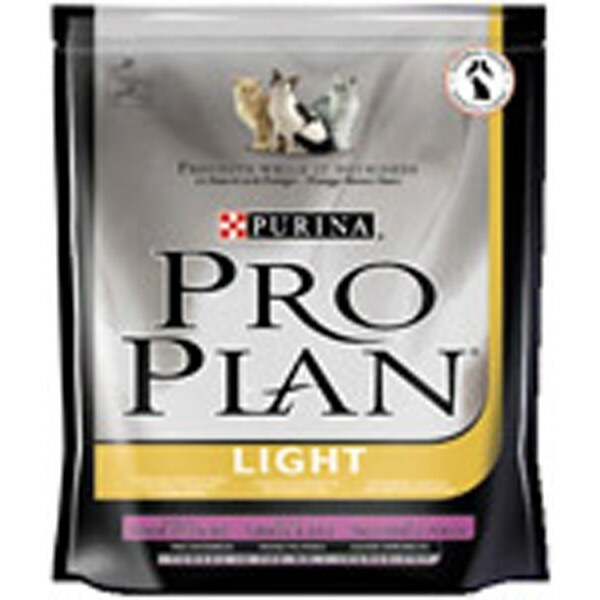 There is no need to supplement Purina Pro Plan with any other food, including wet food. Skin Care - Vitamin A, Linoleic Acid and Zinc aids Skin Elasticity & Hydration. Glossy Coat - Essential Marine Oils for a Thick and Glossy Coat. Digestion - High protein level and wholesome wheat fibres to moderate fat storage and promote a lean body condition. Renal System Care - Optirenal to support kidney function, with essential minerals and urinary pH Control for urinary tract health. Immune System - High Protein to develop antibodies and antioxidants for defence.